Industry experts believe that blockchain innovation in the transportation sector will improve travel efficiency by drastically reducing travel time and costs. Blockchain technology has the potential to solve many shortcomings of the sector. These include transportation of temperature controlled goods such as food and medicines, expediting disputes in transportation payment, reducing processing and administrative costs by reducing dependence on paper contracts, etc. To sample the promise of blockchain in transportation, let’s take a look at Maersk, the world’s biggest shipping company. 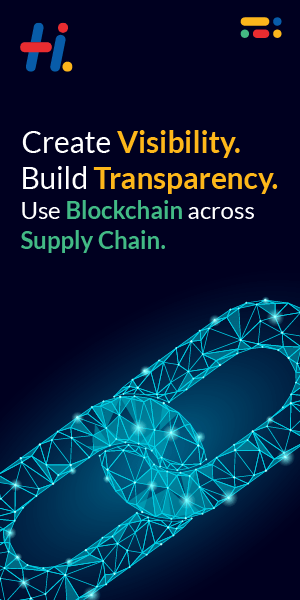 Maersk has tested cargo management using IBM’s blockchain technology not so long ago. Dubai Customs and Dubai Trade too said that they were working with IBM to track the flow of goods through their ports. The technology reduces the possibility of error in shipments by recording the verifications securely in real time. Moreover, it can be used by carriers and customers alike to verify different parts of the supply chain. So for example, the source of the damage of a good can be found once its route is traced. It also reduces waiting and processing time, especially at customs, by deploying smart contract verification. The distributed ledger technology also makes the huge amount of unnecessary paperwork in these industries obsolete. In the most recent news, the government of Malta – a hotbed of blockchain innovation – has announced a partnership with the firm Omnitude for help with the nation’s public transport system. This would offer a more seamless passage between public and private transportation. In turn, the move is expected to save the government a lot of money, improve efficiencies, and make transport more reliable while also improving its citizens’ access to information. Interestingly, Omnitude has also teamed up with the Formula 1 racing team Williams to study the use cases of blockchain in car racing. Blockchain tech also finds use in creating decentralized peer-to-peer ride-sharing applications. This will allow both car owners as well as passengers to arrange the terms of travel in a safe way without the involvement of third-party, centralized providers (such as Uber). Arcade City and La’Zooz are examples of startups currently working in this space. These apps can also use built-in e-wallets, making it much easier for users to automatically pay for expenses such as parking, highway tolls and fuel or electricity top-ups. Startups like UBS, ZF, and Innogy are building blockchain-based e-wallets exactly for this purpose. Blockchain could also be significant in disrupting transaction costs which exist across payment services in transport. It will lower expenses and provide scalable solutions for tracking orders and authenticating increasingly in-demand same-day and one-hour delivery services. All in all, it is clear to see that blockchain is going to be a game changer for the transport industry. If huge companies like IBM, startups as well as governments work together in solving the problems that plague transportation today, blockchain’s role in the sector will only expand, and so will the productivity of the space.